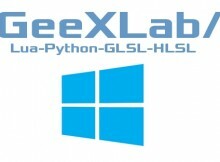 A new version of GeeXLab for Windows platforms is ready. This version is available in both 32 and 64-bit. GeeXLab 64-bit supports Windows 7, Windows 8 and Windows 10. GeeXLab 32-bit supports Windows XP (and Vista but I didn’t test that support), Windows 7, Windows 8 and Windows 10. You can download GeeXLab 0.9.1.0 from THIS LINK. 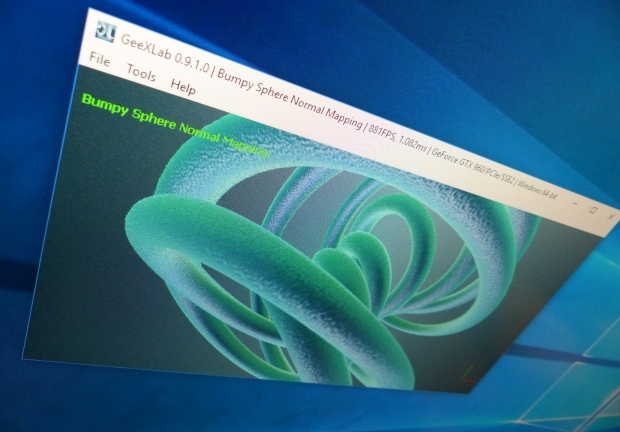 GeeXLab for Linux, OS X and RPi will be updated as soon as possible. * fixed a bug in the ftgl plugin that appeared OpenGL 2.1 drivers. With theses drivers, the font texture was not uploaded in GPU mem. for the log file name. instances of GeeXLab, each instance having its own logfile. introduced with recent changes in the low level 3d lib. been introduced with recent changes in the low level 3d lib.
! updated plugin_gxc_ffmpeg_x32.dll for Windows with FFmpeg 2.8.3.